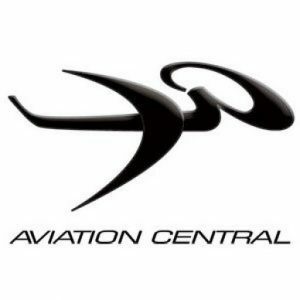 We are excited to announce that we will be making out Facebook cover image space available for organisers to promote their event on Aviation Central. 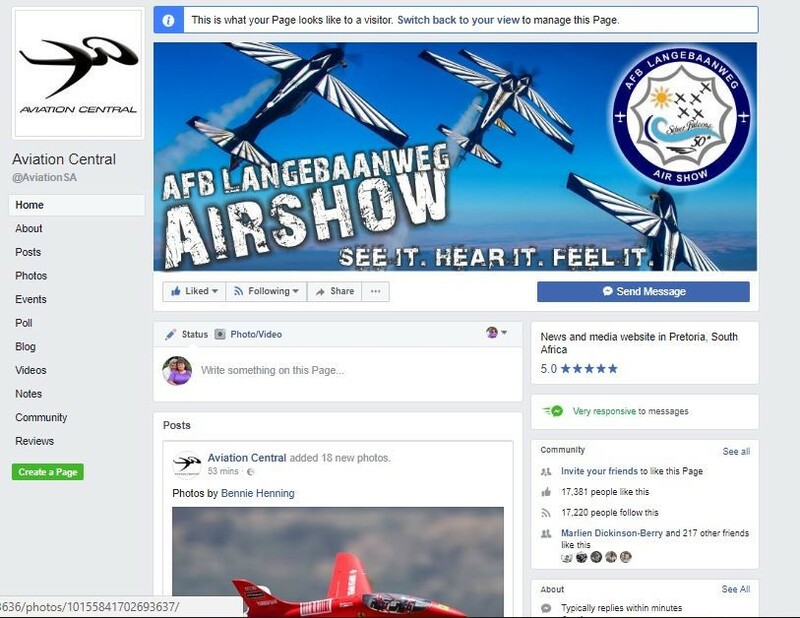 Aviation Central (AC) is a Facebook page that mainly focus on the promotion of Airshows, Air Races, Fly-ins and Radio Control events in South Africa and some of our neighbouring countries. We endeavour to bring as much news and updates to our 27 000 and growing supporters, and our page attracts over 19 000 unique Facebook users daily. 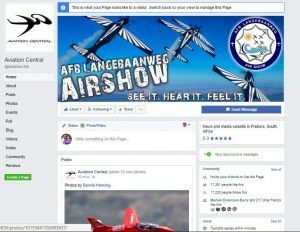 AC has the most likes, followers, and page views on Facebook than any other active aviation related Facebook pages (including magazines) in Southern Africa, with the exception of airlines. Our target audience is mostly the non-aviation professional who don’t always have time to search for events, and who brings their friends or family to airshows for the day and the plane spotters standing behind high airports walls to catch a glimpse of arriving and departing aircraft or just the guy looking up into the sky each time a plane goes by. Over the years we have also build up relationships with event organisers and the countries display pilots and keep up with their every move. With our ever-growing audience, we want to keep them informed about events as we receive information, therefore we require show and event organisers to keep up updated with calendars, posters, and any other news and highlights of upcoming events. In order for us to help you promote and report on your event, we also have costs to cover so we decided to make our Cover image space available at a small cost. 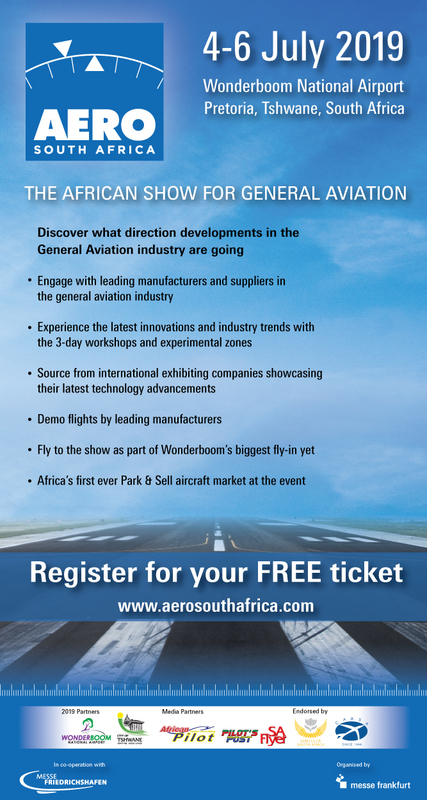 The cover image is a prime spot on any Facebook page and it’s available for rent to organizers of aviation events ONLY. The rest of our event promoting, all remains as is and FREE. 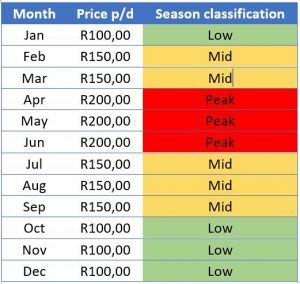 The cost will be linked to peak airshow season, mid and low seasons. Below is an example what the page would like with the Langebaan show poster. Our Cover image can be yours. Each day is from 7am till the next day 7am and is on a first-come-first-serve base!